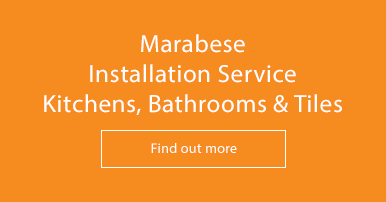 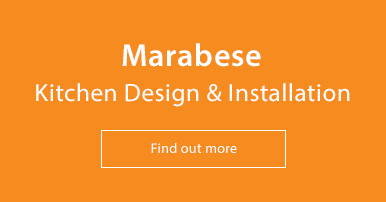 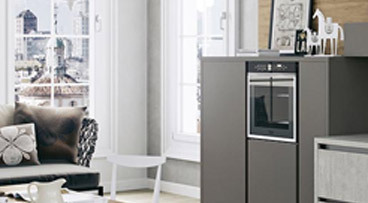 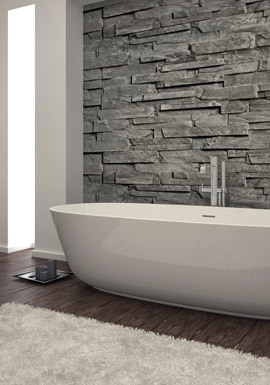 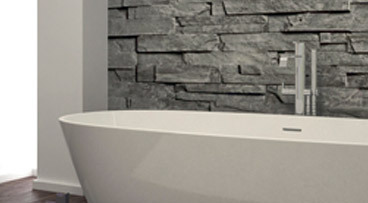 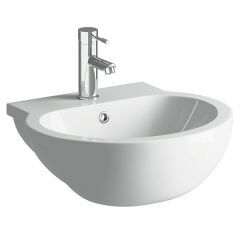 Marabese Ceramics | Semi-Recessed Basins - many styles in stock! 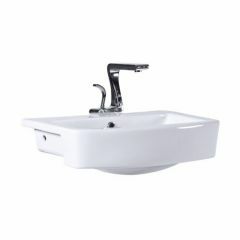 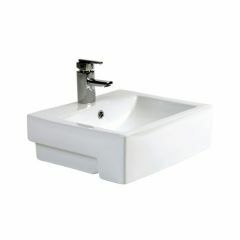 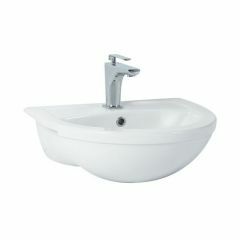 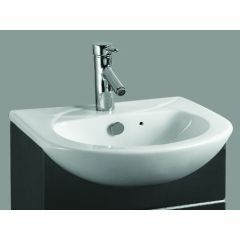 A semi-recessed or semi-inset basin sits on top of a unit and protrudes over the front bringing ornamentation and style. 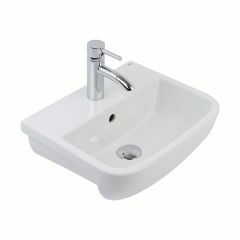 This fashionable basin will give your bathroom a more fitted and cleaner look, whilst incorporating handy storage in an otherwise wasted space. 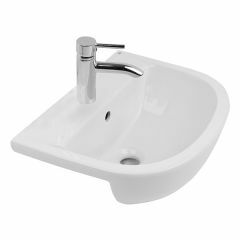 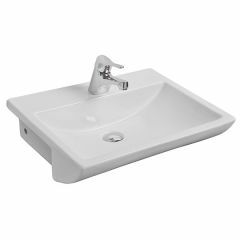 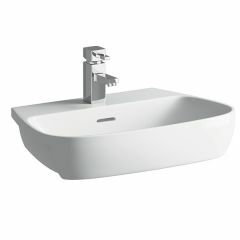 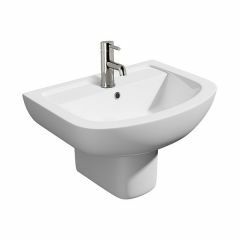 These basins traditionally have a rounded edge, yet we also stock some angular models which are great for space-saving in a smaller bathroom.